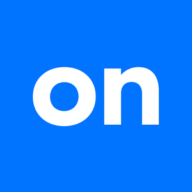 Yesterday, the On Deck Team announced it has raised $42 million in Series D growth financing led by a new investor, Institutional Venture Partners (IVP), alongside current backers RRE Ventures, SAP Ventures and First Round Capital. It was an exciting day over at our NYC headquarters, with plenty of media buzz from Bloomberg, TechCrunch and AllThingsD. Flattery aside, this announcement signifies On Deck’s ability to continue to connect Main Street businesses nationwide to the capital they need to grow, as well as accelerate our growth through continued technology innovation, breakthrough product development and increasing our marketing reach. We also want to give a warm welcome to Sandy Miller, On Deck’s newest Board Member and seasoned IVP General Partner. For more information, follow us on Twitter (@ondeckcapital). You can read our press release here.